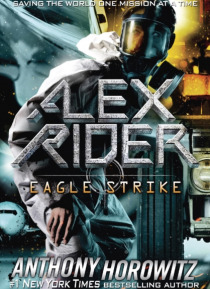 Alex Rider will soon be a star in his very own TV series!Alex Rider is an orphan turned teen superspy who's saving the world one mission at a timefrom #1New York Timesbestselling author!Sir Damian Cray is a philanthropist, peace activist, and the world's most famouspop star. But still it's not enough. He needs more if he is to save the world. Trouble is, only Alex Rider recognizes that it's the wo… rld that needs saving from Sir Damian Cray. Underneath the luster of glamour and fame lies a twisted mind, ready to sacrifice the world for his beliefs. But in the past, Alex has always had the backing of the government. This time, he's on his own. Can one teenager convince the world that the most popular man on earth is a madman bent on destruction-before time runs out?From the author ofMagpie MurdersandMoriarty.